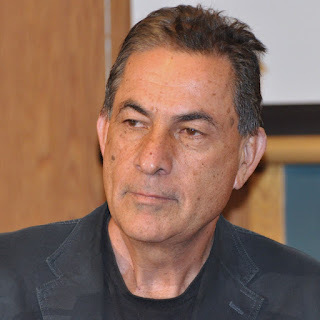 Gideon Levy is, with Amira Hass, the bravest and most articulate of Israeli journalists. Both have come under repeated threat from the racists who make up the majority of Israel’s population. Incitement to attack opponents of Zionism in Israel is considered normal by the Zionist establishment, Labour and Likud. Levy has had to be accompanied by body guards at times because of the threats to his life. Ha’aretz occupies a lonely place in Israel journalism. It is a liberal Zionist newspaper, hardly read by any Israelis (!) but with an international reputation for printing at least some of the truth about the ugly reality of Israel today. It puts to shame apologists for Israel’s racists like Jeremy Newmark of the Jewish Labour Movement and the oafish deputy leader of the Labour Party Tom Watson. Indeed it puts to shame Jeremy Corbyn who has completely forgotten what he campaigned for for over 30 years. I was saddened to read in Tuesday’s Hebrew edition of Haaretz that you’ve decided to cancel your subscription. I don’t know you, but I will miss you as readers. As someone who is partly responsible for your decision, as your article indicated, allow me to apologize. To apologize for writing the truth all these years. I should have taken into account that this truth wasn’t palatable to you, and acted accordingly. 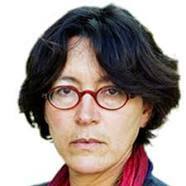 It was not pleasant for you to read the theory put forward by me and my fellow Haaretz correspondent Amira Hass about the occupation. You, who are active in Rotary Israel, who come from the business world, who are so proud of your children and the fact that they live in the West Bank. Your son was educated at the Eli premilitary academy, and your granddaughters proudly carry the last name Sheetrit. You, who are so pleased with yourselves and your values, with your children and your morals, don’t think you should be forced to read unpleasant truths. You simply don’t deserve it. Indeed, how could I have spent all these years publishing articles that even you, generously, admitted were touching, without ever, to my shame, checking how these Palestinian families ended up in their serious predicaments? Really, how did that happen? Of course it was their own fault, but I keep blaming the Israel Defense Forces – how could I? And how could Amira Hass be so one-sided and lacking in perspective that would explain how a people could prefer the elimination of another people over a democratic society? Really, how could you, Amira? I assume that you, who come from the business world, would lovingly accept those who confiscate your property and ban you from your own land. I’m sure it would never occur to you to struggle against those who have tortured you with such evil for so many years. What can we do? The Palestinians are different from you, dear Orna and Moshe. They were not born in such lofty heights as you. 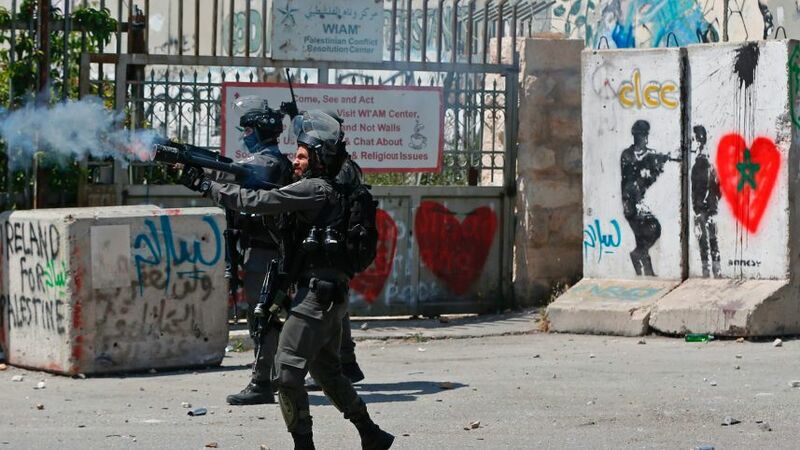 They are human animals, bloodthirsty, born to kill. Not all of them are as ethical as you and your children from the Eli academy. Yes, there are people who fight for their freedom. There are people who are forced to do so violently. In fact, there are almost no nations who haven’t acted this way, including the chosen people you’re proud to belong to. Not only do you belong; you are the pillar of fire that leads the camp, you’re the best, the moral elite – you, the religious Zionists. I apologize for the one-sidedness. How could I not maintain a balance between the murderer and the murdered; the thief and his victim; the occupier and the occupied? Forgive me for daring to turn off your joy and pride in the land flowing with milk and Mobileye, and cherry tomatoes, too. There are so many wonderful things in this country, and Haaretz – with its “moral deterioration,” as you call it – is ruining the party. How did I not see that you don’t like to read the truth, and didn’t take this into account when I’d return from the occupied territories every week to write about what I’d seen with my own eyes? But now it’s too late. The call to boycott chocolate spread was too much even for you, so you’ve decided to boycott Haaretz. From now on, the only paper on your coffee table will be the weekly, right-wing Makor Rishon. They won’t write about how IDF soldiers sprayed five Palestinian car passengers with bullets three weeks ago, and I’m sure your Shabbats will be a lot more pleasant from now on.